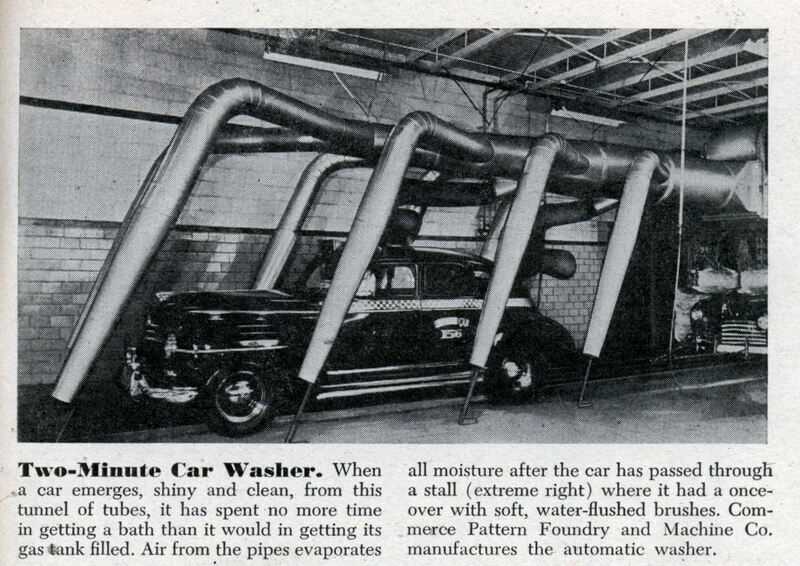 When a car emerges, shiny and clean, from this tunnel of tubes, it has spent no more time in getting a bath than it would in getting its gas tank filled. Air from the pipes evaporates all moisture after the car has passed through a stall (extreme right) where it had a onceover with soft, water-flushed brushes. Commerce Pattern Foundry and Machine Co. manufactures the automatic washer. How comforting is to wash your under a giant spider!